Docany PDF to JPG Converter for Mac is an easy-to-use program to convert PDF to image files, such as JPG, BMP, PNG, TIFF... With a few mouse clicks hundreds of PDF files will be converted to image files automatically. So you can easily edit, re-use, re-organize, present, and share your PDF files. Additionally, it doesn't require Adobe Acrobat or any other PDF plugins to be installed. Batch convert hundreds of PDF files into various image formats at a time. Quickly convert PDF to JPG with several steps, support multi-core processing. Both novice and pros can convert PDF to JPG within a few clicks. Convert JPEG, TIFF, PNG, BMP and other image formats from PDF. 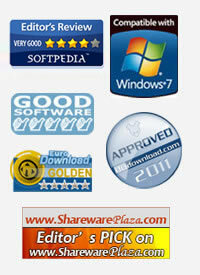 Convert PDF files as many as you wish at one time. Password protected PDF files can be loaded and converted to JPG image files. Allow convert the whole PDF document. Allow users select the pages or page range to be converted when the pages need not to be converted totally. 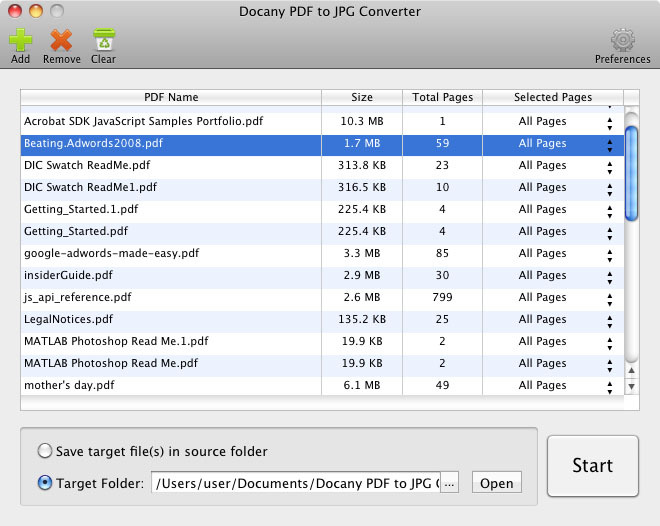 How does Docany PDF to JPG Converter for Mac works? Launch the program. Add PDF files for conversion. Specify conversion options and destination folder for saving image files and press "Start" button. This is all you need to know to successfully use the program and get professional results.